The European area has been the subject of much debate among all Melchizedeks because of the wars fought there and that it is the seat of western civilization. Work was initiated there at the behest of Malvantra Melchizedek at the beginning of the last ice age, but had to be stopped due to the prolonged wars between the nation states beginning about the 5th century B.C.. Because of these “on-the-ground-problems”, work has been slow to take effect. Not until the last century and the beginning of this one have the Melchizedeks been successful in accomplish the task they set out to do millennia ago. Recently, the Melchizedeks sent in a service level 3 team from South America which had family connections to the European continent, and were able to seize this opportunity to prepare to remove the corrupt anchors from Mauthausen, Germany and other places visited. Information is being received via reflectivity in liaison with Majeston via the polar crystal on Salvington. Approval to continue via the planetary broadcasting that has been implemented has been granted. I am Monlucia Melchizedek and in being Michael’s jurisdictional Melchizedek for this area, I will be overseeing the information on this call tonight along with the vast hosts of celestials that have made themselves available to bring forth the information at the proper time. Lanaforge wishes to speak on a few topics first so I will differ to our System Sovereign. I am your system sovereign Lanaforge. We are taking into consideration the many that are finding this platform for information and direction. We will tailor this to the specific needs that we see arising, and without unduly bringing forth any information that would serve to confuse anyone, we have decided to tailor tonight’s call to those on the call whom are encircuited. Thank you all for making yourself available, which includes those who wish to know more information in these times of opportunity to serve in a greater capacity with Urantia’s Magisterial Son. I want to first speak to you all about the very real work that is now taking place on your sphere. We have through Melchizedek methods completed the first sweep of mercy in implementing the new grid in a location via the servitors of light under on the Magisterial Son’s staff. LUMINERION Luminerion: Information is being received via reflectivity in liaison with Majeston via the polar crystal on Salvington. Approval to continue via the planetary broadcasting has been granted. LANAFORGE Lanaforge: This is your System Sovereign Lanaforge; I give you all my greetings, children. This platform is being encircuited by the celestial administration of Nebadon under the direct administration of Gabriel of Salvington. All information on this call is being received via reflectivity. If you have any specific questions on the interworkings of reflectivity, there has been documentation provided and archived on the Tmarchives.com to address any specific questions regarding this highly specialized form of receiving. 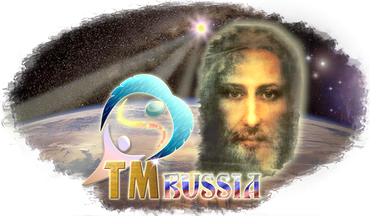 Christ Michael: Children of Urantia and those who are encircuited on this call, this is your Creator Father Michael. I appreciate all the outreach in this highly specialized service that is now being undertaken in this grid work of freeing so many that are lost and stuck in this corrupted grid system. These cries from my children have reached my ears and all those whom are crying out to me I hear. Not one will be lost to the love grace and mercy that is being poured out. What we ask all of you to do children, is to open your hearts when these ones come to you. For you will act almost as the mediators for these ones. You will be the midwayers between those in darkness with your light.